Greetings readers and errandeurs. This message is to update you on the status of the distribution of the Errandonnee goodies. While I planned to put these in the mail a couple of weeks ago, due to a variety of excuses reasons (mostly bike-, work-, and dinner duty-related), I have been delayed. My goal is to get the Errandonnee treasure out this week so be on the lookout for it over the next week or so. I’ll send a follow-up notice when all prizes have been mailed. 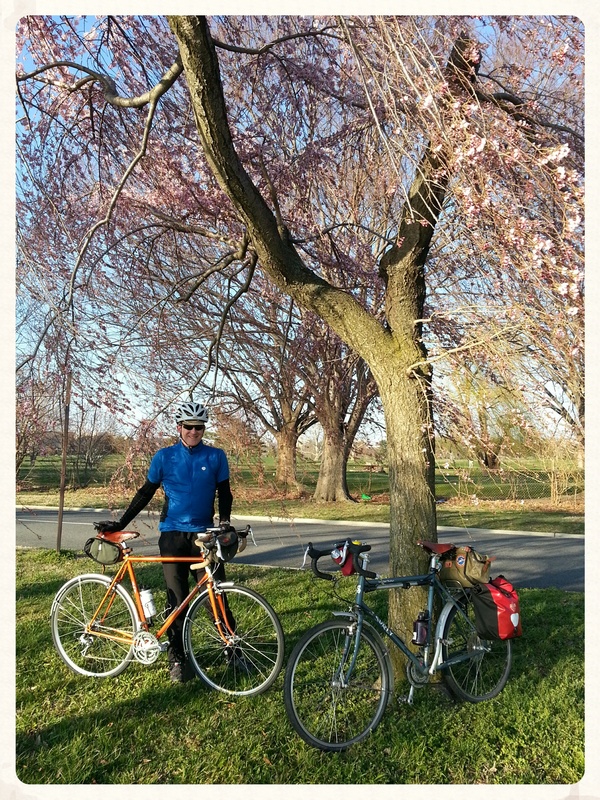 In the meantime, how about this pretty photo of the cherry blossoms with Felkerino’s pretty Rivendell and my trusty Surly LHT? Not long now! I’m jealous. Our trees are still snoozing. BUT, I do see green grass now, so yippee! I haven’t been so excited to get a patch since I was a young Girl Scout. 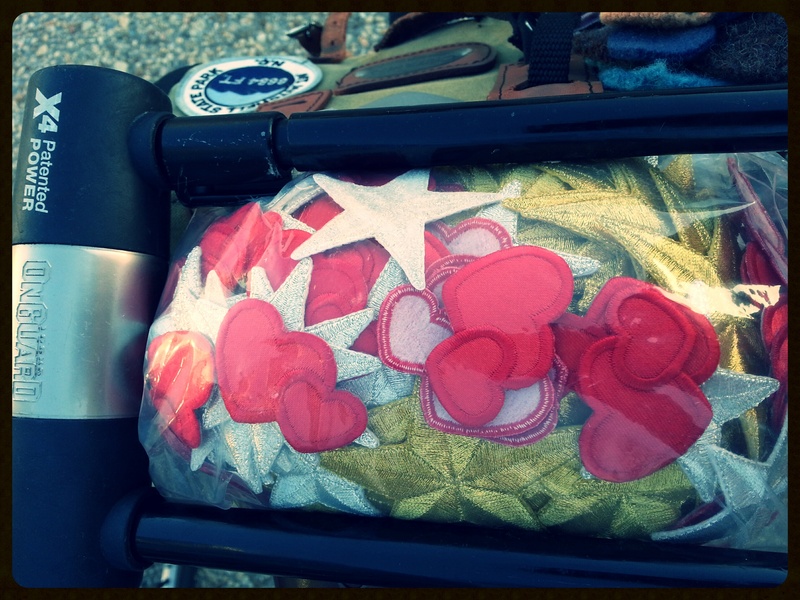 Right now it’s game on with randonneuring and then summer bike touring, but I plan to bring a challenge back in the fall. Look forward to reading all about your adventures and to taking part in further errandonnees!